As you know, already there are major smartphone-based mobile platforms including Apple iOS, Google Android, Windows Phone and Blackberry OS. In this situation, it seems like another war is about to happen in order to acquire the fifth place. As you might have heard, operating systems we are discussing are Ubuntu Touch by Canonical and Firefox OS from Mozilla, which may become a strong rival to iOS and Android rather than runner ups. Both of these ventures – Mozilla and Ubuntu would have been pointless if there were no open source lovers to contribute. In that sense, both of these platforms, from same ventures, seem to be enough for that mentioned fifth position. Now, let us have a comparison on both of these operating systems based on what makes them different current operating systems as well as how these platforms can affect the mobile war of running platforms and stuffed-in features. Ubuntu might be familiar to you, being the most popular Linux distribution, with Unity environment. As mentioned earlier, Ubuntu Touch is the upcoming mobile platform from Canonical, expected to power many smart devices including your smartphones. Unlike Android or iOS, developers have designed Ubuntu Touch in a special way work perfect in low-end configuration smartphones and hence to enrich low-budget smartphone market. Canonical unveiled this mobile platform on January 2nd, 2013 while they released Ubuntu Touch Developer Preview on 21st February 2013. This platform makes use of same Linux kernel of Android, which explicitly means that majority of Android smartphones will support this operating system. In addition, Ubuntu Touch utilizes the same building technology of Ubuntu Desktop OS, so that each app developed for Ubuntu will be compatible with Ubuntu Touch. Since the OS is coming from the famous Linux community, the OS may become a stronger rival to Google Android because Canonical is the same venture, who made Ubuntu OS this much popular. All applications for Ubuntu’s current and older versions will be compatible with Ubuntu Touch. In addition, the OS will have pre-loaded applications such as Facebook, YouTube, RSS Reader, Email client etc. In the Ubuntu phone website Canonical states that “there is a PC trying to get our in every dual core smartphone”. You can connect your Ubuntu phone with an external monitor and the device will transform itself into a fully fledged Ubuntu Linux PC with some additional features to manage your communication stuff like calls, messages etc. Using this awesome feature, you can convert your smartphone to a PC in necessary situations, where you do not get one PC to do works. Of course, the high-end hardware capabilities of upcoming devices will boost the speed of your partial PC. Side Stage is the main principle of multitasking in Ubuntu phone-based devices, especially tablet PCs. As the name implies, you can run applications side by side by means of resizing windows according to the requirement. Through this way, you can utilize the whole screen size of your tablet PC to increase productivity. 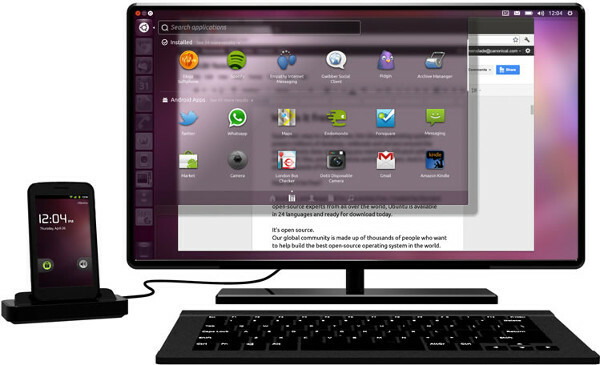 Just as Windows 8, Ubuntu Touch is also using multi-finger gestures for enabling multitasking experience. You may check out developer preview videos for understanding how these technologies work. 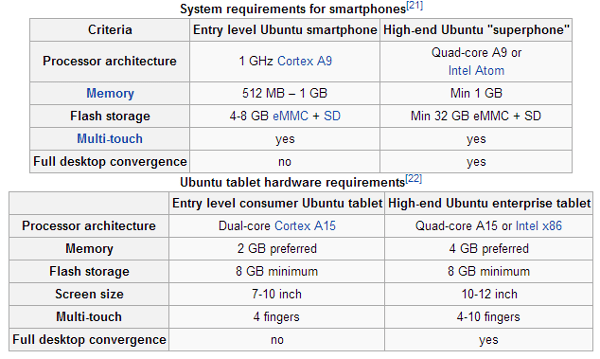 Ubuntu Phone has released a hardware requirement sheet, made for both high-end and low-end configuration devices. For example, Ubuntu phone needs 1 GHz Cortex A9 processor and Minimum RAM of 512 for running on a device whereas Quad Core A9 and 1 GB RAM for high-end smartphones. 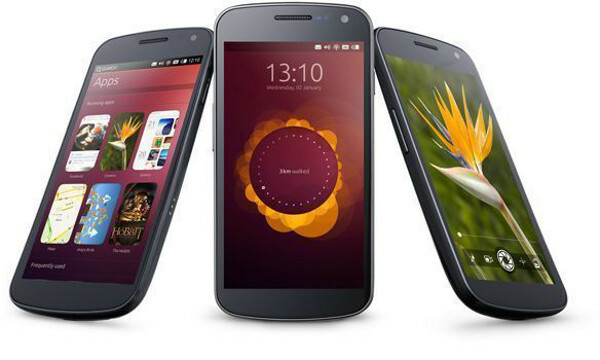 When it comes to high-end Ubuntu smartphone, you will get full features of an Ubuntu desktop. In the case of tablet PCs, requirements are double. 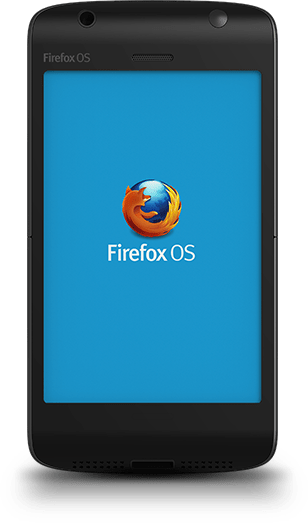 As mentioned earlier, Firefox OS is an initiative from Mozilla, web-based open-source venture who is popular for their web browser, Mozilla Firefox. Firefox OS is a part of their project Boot to Gecko (B2G) from which tech world expects a desktop operating system soon. As the developer is a web-based venture, they have tried to utilize all abilities of web technologies, especially HTML5. This OS will be compatible with the normal applications as well as web applications, done via HTML5 coding. HTML5 has a high significance in Firefox OS because it is the major coding language of the platform. Because of this, it is easy for developers to develop their applications in HTML5 and use hardware capabilities of the device. Firefox OS has a large set of competitors in the market when suitable devices are ready to reach the market. 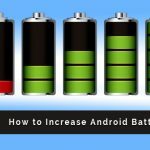 For example, it will have to fight with Nokia Asha series as well as Samsung REX along with all kinds of Android devices in the low configuration category. We hope that Mozilla will not forget to integrate apps like Facebook and Twitter to increase usability. Recalling all what we said above, we will have to say that Mozilla’s Firefox OS is concentrating low hardware devices rather than tightly packed devices like Galaxy S4. On the other hand, Ubuntu Phone can satisfy both geeks and basic users though it requires bit higher hardware configuration. For instance, Ubuntu Phone requires minimum dual core processor to run as well as 512 MB of RAM. Hence, targeted markets of Firefox OS and Ubuntu Phone will be low-budget customers and medium-budget customers respectively. However, the web-oriented property of Firefox OS is something bad despite the fact it helps developer community. In addition, there will be no major change in usability or productivity even though Firefox OS powers high-end smartphones. 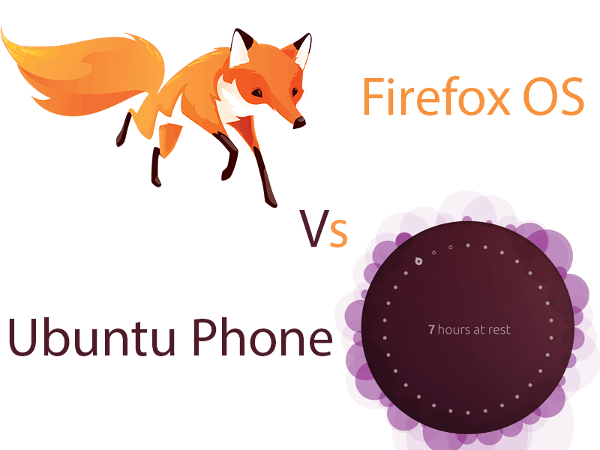 Analyzing all these points, we will have to say that Ubuntu Phone has a chance of winning the market when compared to Firefox. What do you think about this? Do let us know via comments. Ununtu has had app store for a long time even before Apple came up with theirs – the Ubuntu Software Centre. There are thousands of apps, both free and commercial, in the store. The apps will probably need to be adapted to accommodate the different form factors, but Canonical, Ubuntu’s parent company, has already published a rich SDK for doing just that. I think they have the potential to change the computing landscape, even if it means that it is Apple or Microsoft copying their model of convergence and leveraging their market share to make it work. Ubuntu has had apps store from long even before Apple Ubuntu Application Store. Store has both free and commercial apps. 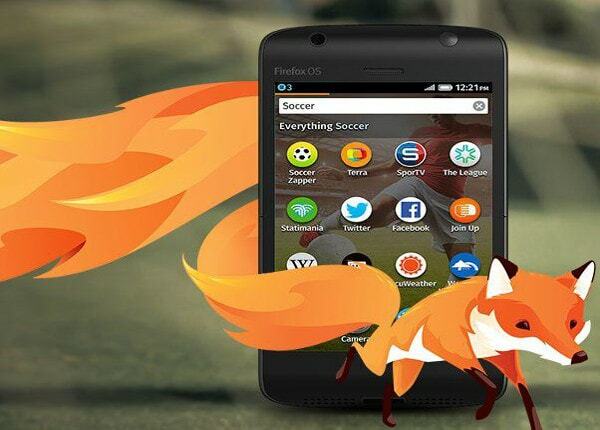 It seems that Firefox OS is having a great start and a lot of SmartPhones’ companies want this OS. I believe that Firefox OS needs lighter requirements in contrast to Ubuntu so in my opinion, I think this is the reason that is going to succeed! Nice informative post! Even if this is said to be a battle for fifth place in the smartphone OS market, still, the availability of other OS’ other than that of the four currently in use in the market now means people have more options to choose from. As much as I am an Android and iOS fan, I can’t wait to see what these two upcoming smartphone OS’ have in store for us. Of the two though, I think I will be rooting for the Ubuntu touch. I’d like to try both these OS and decide for myself which is more user-friendly and will meet my expectations. Ubuntu also going to launch Ubuntu Edge.Their own device with high end specs. Firefox is more towards HTML 5 which is only cross os platform.So we need to wait and watch as which platform will dominate the industry. Firefox OS also use the same Linux kernel. Firefox UI changes in version 2 and is way better. Ubuntu do not focus low end market and I think this is why it is gonna lose the 5th place. If they do not have snapshot or other popular apps nobody will buy it. Firefox OS focuses low end device and if you never had a smartphone you can miss those apps, additionally for privacy concern I would better trust Mozilla than Canonical.